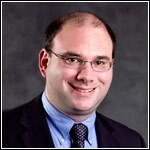 Andrew J. Schneider, DPM is a podiatrist in private practice in Houston, TX. He is the medical director of Tanglewood Foot Specialists. Dr. Schneider is Board Certified by the American Board of Podiatric Orthopedics and Primary Medicine. He is a Fellow of the American College of Foot and Ankle Orthopedics and Medicine, American Academy of Podiatric Practice Managment, and the American Professional Wound Care Association. He is also a member of the American Podiatric Medical Association, Texas Podiatric Medical Association, and the American Academy of Podiatric Sports Medicine. Dr. Schneider is a member of the Board of Trustees of the American Academy of Podiatric Practice Management. He is an internationally-known speaker on topics related to practice management, specifically internet marketing of professional practices. His articles have been published in APMA News, Podiatry Management, and the Journal of Private Practice Management. Dr. Schneider has a strong interest in educating the next generation of podiatrists. He is an adjunct faculty member of the Ohio College of Podiatric Medicine in Cleveland, OH. He is also the Director of Clinical Biomechanics of the West Houston and Kingwood Medical Center's Podiatric Surgical Residency Program. Dr. Schneider lives in Houston, TX with his wife and three children.